I just wanted to write a note of thanks to you regarding the ACCOR® PUSHON® stops. 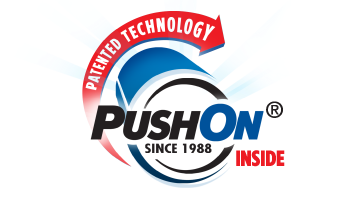 We have been using ACCOR PUSHON stops for approximately 15 years and are currently installing over 18,000 stops each year. We currently are able to use the ACCOR products on a variety of projects which include but are not limited to: entry level homes, custom homes, apartment buildings, condo units, assisted living facilities, and hotels. We rarely have a warranty issue and if we do, ACCOR stands behind their products and the process is smoothly run. By switching to the ACCOR products we were able to save on installed labor costs and have also seen the direct results of the high quality of the products by the reduction of return trips and callbacks. We appreciate your quality product and look forward to many more years of working together. Chris Potthoff Purchasing, J-Berd Mechanical Contractors, Inc.